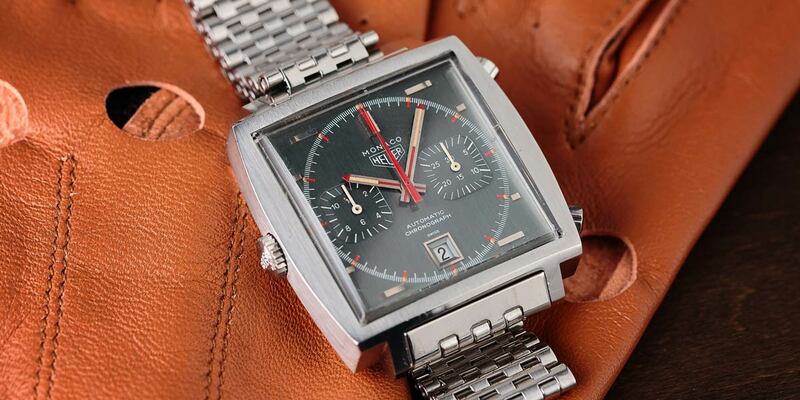 In the vintage watch world, the Heuer Monaco 1133 is a legend. Not only did it house one of the world’s first automatic chronograph movements, Caliber 11, it also accompanied Steve McQueen in the 1971 racing movie, Le Mans. Today we go hands-on with the famous vintage Heuer Monaco 1133—a similar model to the one “The King of Cool” sported on screen. The Heuer Monaco 1133 is a watch with a square case which is foreign to Rolex. The most striking design element of the Monaco 1133 is, of course, its bold square form. In a sea of round watches, the lines of a square shaped case released in 1969 really stood out. The case was in fact designed and made by famous case maker Piquerez. The size is also quite large at 39mm—particularly for a vintage timepiece—and sits quite high on the wrist due to its movement within. This watch certainly has presence. Look closely and you’ll see the vertical grain of the stainless steel, which adds great texture to the look of the watch. Finally, the case includes the two chronograph pushers on the right-hand side, while the winding crown sits rather unusually on the left-hand side. 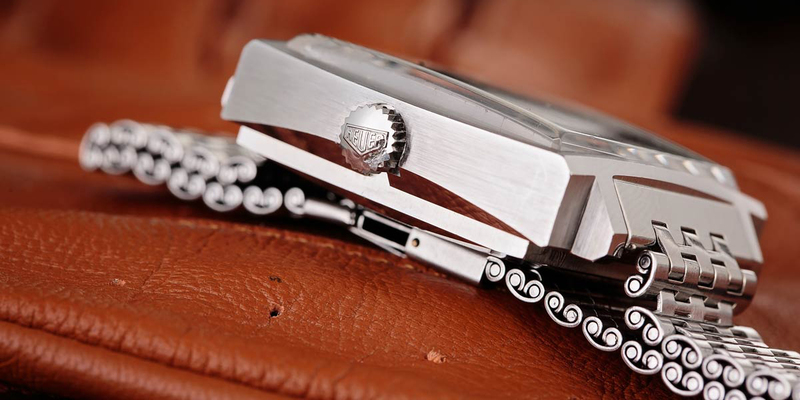 The 100m water resistance of the square Monaco case was also hailed as a triumph during its era. 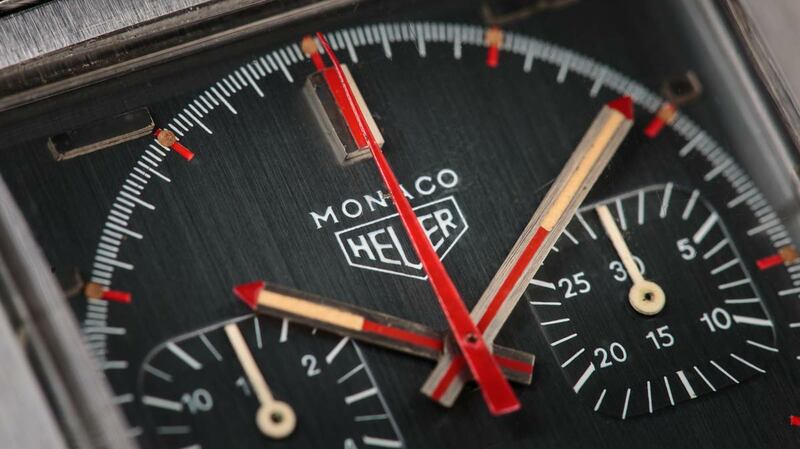 The dial of the Heuer Monaco 1133 is another thing of beauty. While McQueen’s version, 1133B, had a blue dial, this particular version is a 1133G with a gray dial. On that gray dial—again displaying subtle vertical graining—lies the now familiar layout of the Monaco. The circular minute track contrasts beautifully with its square steel house, while the pair of rounded square registers mimics the case shape. There also the date window at 6 o’clock for added practicality and the red details on the dial emphasize the sporty nature of the Monaco. There has also been a handful of instances where McQueen was spotted wearing a Rolex but let’s not get off topic. You can see the granular details on the vintage Heuer Monaco 1133. Another important element of this particular vintage Heuer Monaco 1133G is its steel link bracelet. It comes equipped with a rare and original “Mark 1” bracelet made by Novavit S.A where the outside of the clasp is signed with the Heuer logo and the inside includes the NSA hallmark. Here is a side view of the Heuer Monaco 1133, you can see the details of the crown and the links. On March 3, 1969, a group of brands—Breitilng, Hamilton-Buren, Heuer, and Dubois-Depraz—unveiled an automatic chronograph movement that they had been collaborating on. Although the announcement claimed that this was the world’s first automatic chronograph movement, there is some dispute to this story since Zenith introduced the El Primero movement earlier that year in January and Seiko also had 6139 automatic chronograph movement produced for the Japanese market in ’69. Regardless, of who was first in the industry, the Heuer Caliber 11 was the company’s first and arguably most famous automatic chronograph movement. However, the early Caliber 11 movement did have several technical problems so the company improved upon it and quickly released variants Caliber 11-I and Caliber 12. What are your thoughts on the Heuer Monaco 1133? Comment below. Flaunting a mix of technical innovation, avant-garde design, and Hollywood glamour, the Heuer Monaco 1133 most certainly boasts grail-worthy status. So much so, that modern TAG Heuer released a reissue of the icon in 2015 dubbed the TAG Heuer Monaco 1969. But there’s nothing quite like owning the original. 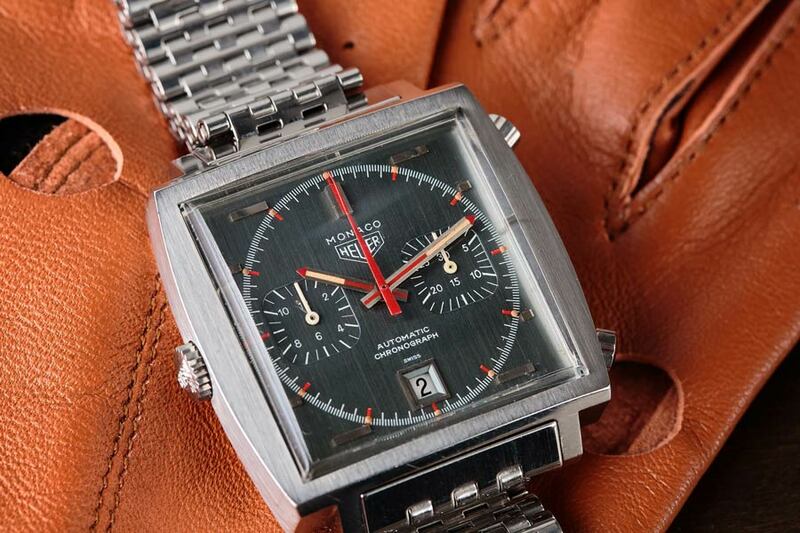 What are your thoughts on the original Heuer Monaco vintage watch? Do you like the shape and distinct dial design? Leave us your thoughts in the comments section below.